 Donors to the War Memorial Center will be invited to participate in a survey this month. It’s part of an initiative that a strategic communications firm, Kane Communications Group, is working on with the War Memorial Center leadership. As a WMC supporter, your opinions are important to developing future strategies that align with your opinions and expectations of our organization. Building clear, strong messaging about the War Memorial is a key component that will help the War Memorial Center to attract more supporters like you in the future so that we can continue to Honor the Dead by Serving the Living. If you receive this email, we encourage you to participate! We look forward to hearing what you have to say! Twenty-five military personnel from the United States Military Entrance Processing Command, headquartered in North Chicago, came to the War Memorial Center on Jan. 18 for a “staff ride.” This historically-immersive staff outing typically takes place at a battlefield, but for this event, they chose to focus their research on memorials, exhibits and displays at the War Memorial Center. Each MEPS staff member was assigned a research area and then briefed the group on their findings as they walked around the building from station to station, including the MacArthur exhibit, the Korean War posters, the Iraqi Freedom Memorial, and the Daren Hidalgo Latino Veteran of the Year Award and Latino Legacy exhibit. Fourteen veterans from every branch and every service era from WWII to the present were also on hand to hear and provide feedback on the presentations. In January, the education program hosted two groups of girls from the Know Thyself program, which provides urban students with critical life skills, such as self-awareness, conflict resolution, empathy, goal setting and decision making, enabling them to manage their behavior and emotions and be positive contributors in their community. 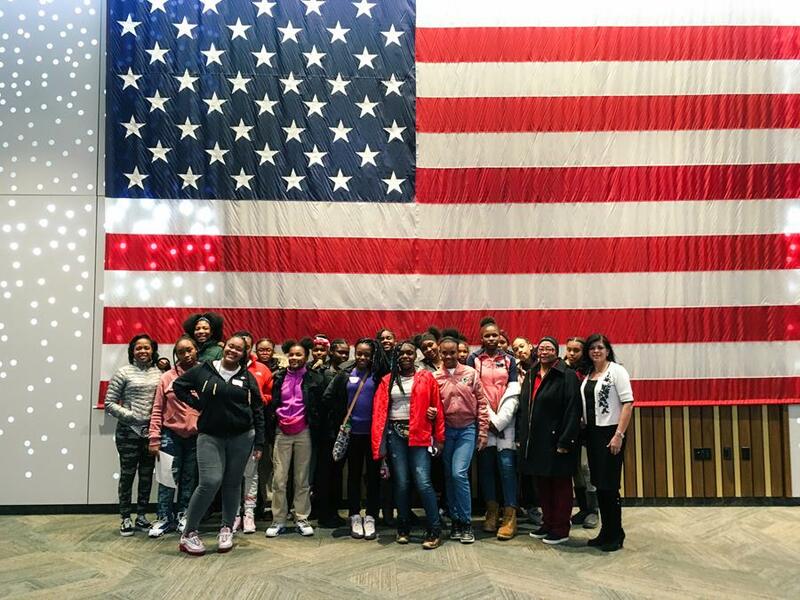 At the War Memorial Center, we are fortunate to have connections to many female veterans who have experiences and messages that are pertinent to the Know Thyself program, which has been implemented at numerous MPS schools. We kicked off this partnership with two fantastic speakers, Wisconsin Department of Veterans Affairs Women Veterans State Coordinator Tiffany Koehler, and director of the UW-Milwaukee Military and Veterans Resource Center, Yolanda Medina (in photo, far right). Both Koehler and Medina were recently photographed for the Department of Veterans Affairs nation-wide initiative called I Am Not Invisible, which highlights female veterans. Learn more. 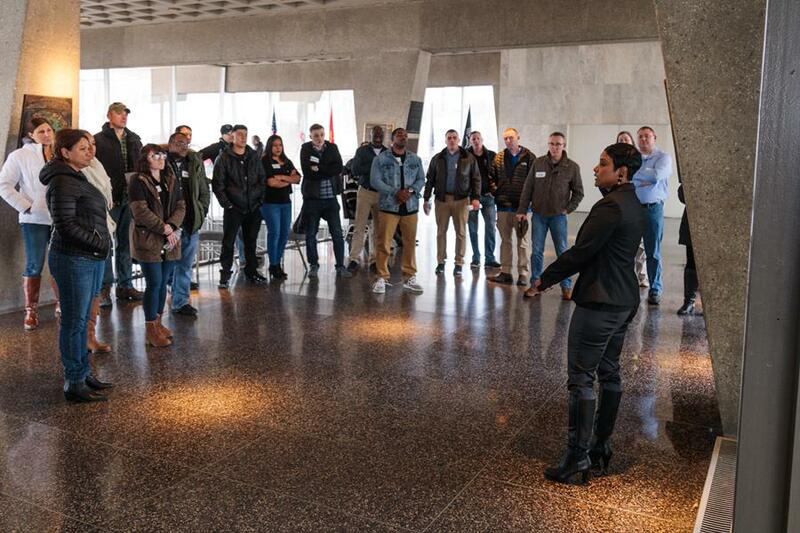 On Jan. 24, the War Memorial Center hosted a Historic Milwaukee special event related to our landmark building. While participants built a LEGO model of the War Memorial Center, workshop architect Sam Kreuser talked about design principles and the innovative work of WMC architect Eero Saarinen. 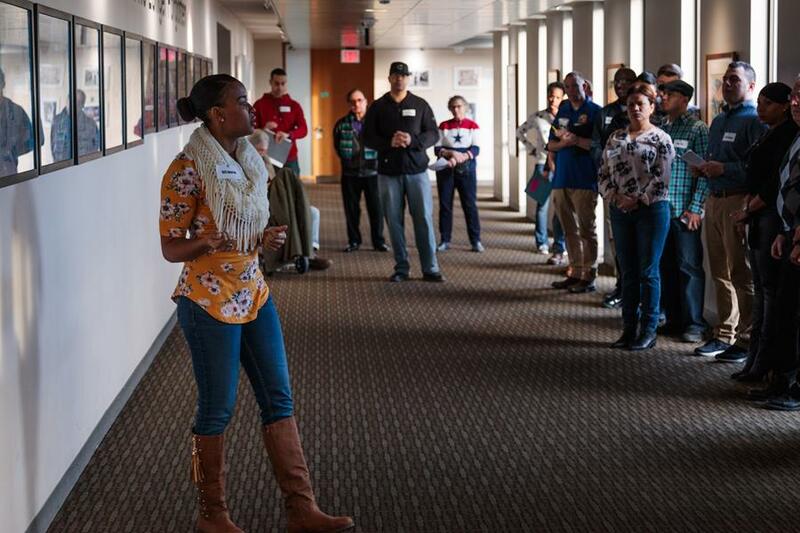 Afterward, participants got to see the notable architectural features up close on a building tour. WISN-TV covered the event. 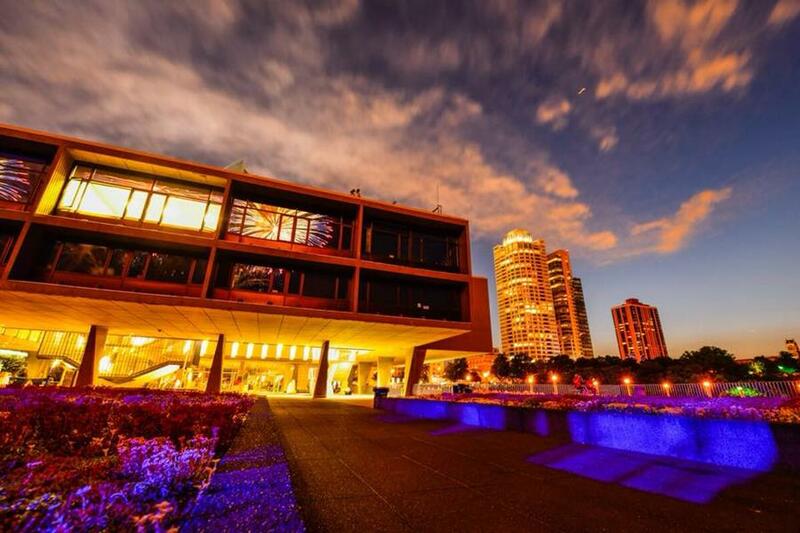 The War Memorial Center is proud to support the 3rd Annual Veterans Light up the Arts program at the Milwaukee Art Museum, Friday, March 8. We all know the patriotic side of our vets, now let’s see their creative side. Click here for more information on tickets or sponsorships. Let’s show our individual and collective support of our friends and colleagues as they showcase their talents in performance and visual arts. All of the ticket sales, silent auction proceeds, and sponsorship revenue go directly to support the Veterans Chamber of Commerce and the Feast of Crispian, both vet supporting organizations. This is a win-win for the veteran’s community so please show your support! We also thank our friends at the Milwaukee Art Museum for hosting this production without charge to the program coordinators. Thank you MAM! Feb. 22, 1732: George Washington was born in Virginia. Feb. 4,1746: General Thaddeus Kosciusko was born in Poland. He played a major role in the American Revolution, building the first fortifications at West Point. Eventually, he became a national hero in Poland, Lithuania, and Belarus as well as the United States. A huge statue of him stands at the entrance of the southside Milwaukee park named after him. Feb. 12, 1809 - Abraham Lincoln was born in Kentucky. Feb. 10, 1942 - The first World War II Medal of Honor was awarded posthumously to 2nd Lt. Alexander Nininger for heroism during the Battle of Bataan. Feb. 23, 1942 - During World War II, the first attack on the U.S. mainland occurred as a Japanese submarine shelled an oil refinery near Santa Barbara, California, causing minor damage. Feb. 3, 1943 – When the troop transport ship Dorchester was hit by a German torpedo and began to sink rapidly, there were not enough life jackets for the troops on the ship. Four Army chaplains gave up their life jackets to the troops and went down with the ship while praying. Feb. 9, 1943 - During World War II in the Pacific, U.S. troops captured Guadalcanal in the Solomon Islands after six months of battle, with 9,000 Japanese and 2,000 Americans killed. This was recognized as one of the most significant victories for the Americans in the war in the Pacific and certainly one of the most deadly. Feb. 27, 1991 - In Desert Storm, the 100-hour ground war ended as Allied troops entered Kuwait just four days after launching their offensive against Saddam Hussein's Iraqi forces. Feb. 28, 1994 - NATO conducted its first combat action in its 45-year history as four Bosnian Serb jets were shot down by American fighters in a no-fly zone. Feb. 18, 2019 – Presidents Day 2019. In compliance with the 1971 Uniform Monday Holiday Act, the third Monday in February is designated as Presidents Day, honoring two of America's greatest presidents, George Washington and Abraham Lincoln. We need your help on our Honor Roll project. We’re looking for service details, personal information, and photos and letters for each of the names listed on our Honor Roll. 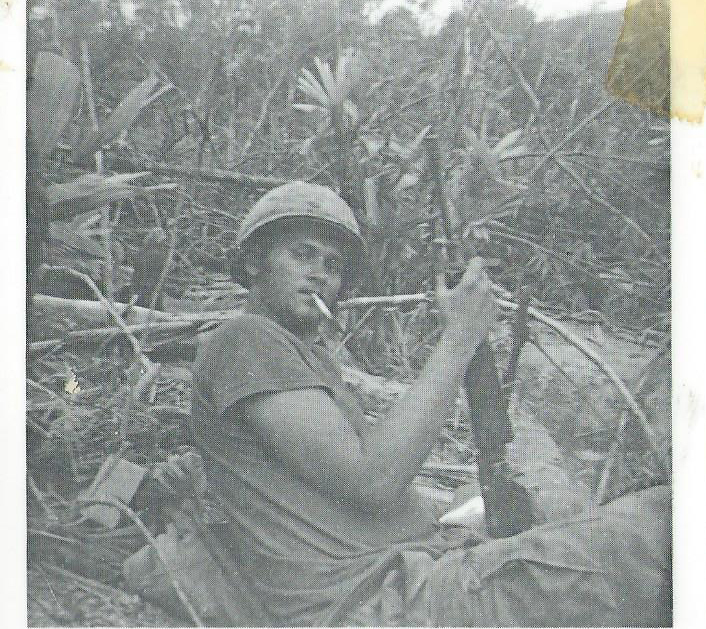 Last month we received information and this photo for Wayne Thomas, who was killed on June 17, 1969, during Operation Virginia Ridge, in northwest Quảng Trị Province, Vietnam. Thomas was an ammunition man in Company L, Third Battalion, Third Marine Division. This information was submitted by Thomas’ friend and fellow Vietnam veteran, Gary Weckworth. Help us preserve the stories of all our war dead. Submit information here. Or email education@warmemorialcenter.org for more information. Jim Bacon joined the Army in 1958 and says it was the best thing he ever did. He landed a unique job for his first 15 months stationed in Germany -- he was picked to be a Scout leader for the youth living on base. Things got a little dicier after that when he found himself in the middle of what he calls the "physiological chess game" that was the Cold War. Stars and Stripes Honor Flight will host its second book club event with best-selling author Adam Makos at the War Memorial Center on March 9 from 10:30 to noon. 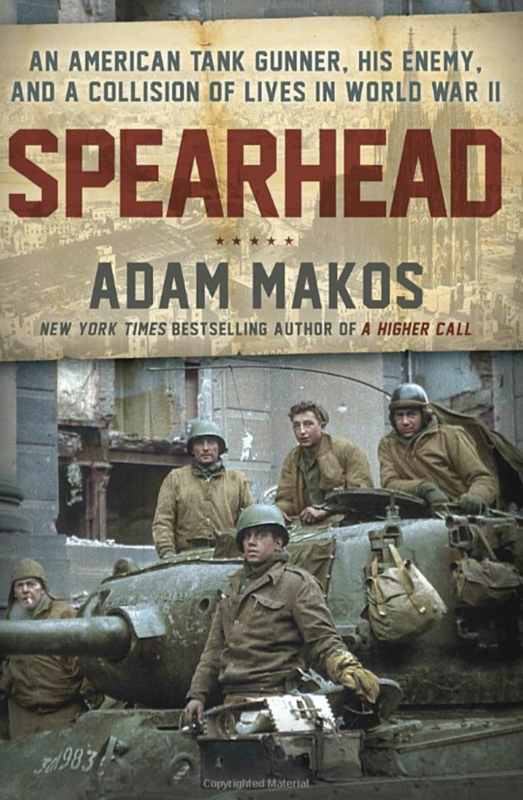 Participants will read the book Spearhead: An American Tank Gunner, His Enemy and a Collision of Lives in World War II which is set to be released on Feb. 19. The book is about WWII tank crews and the flight to liberate Cologne, Germany. Makos will participate in the March 9 discussion via Skype. This event is free and open to the public. 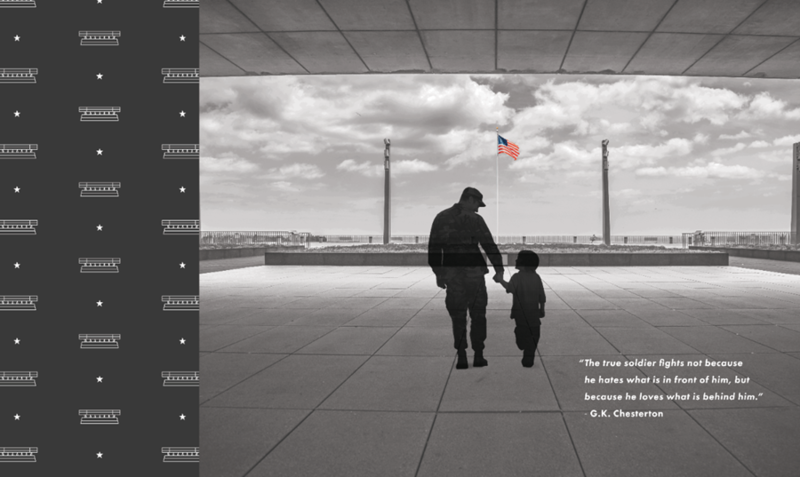 Makos chronicles the stories of American veterans and says “a nation is judged by how it remembers its heroes." Mark your calendars: The next public tour is Friday, March 1, at 11 am. Meet in Veterans Gallery on the 2nd floor. The theme of the March tour will be Vietnam veterans, in advance of Vietnam Veterans Day on March 29.